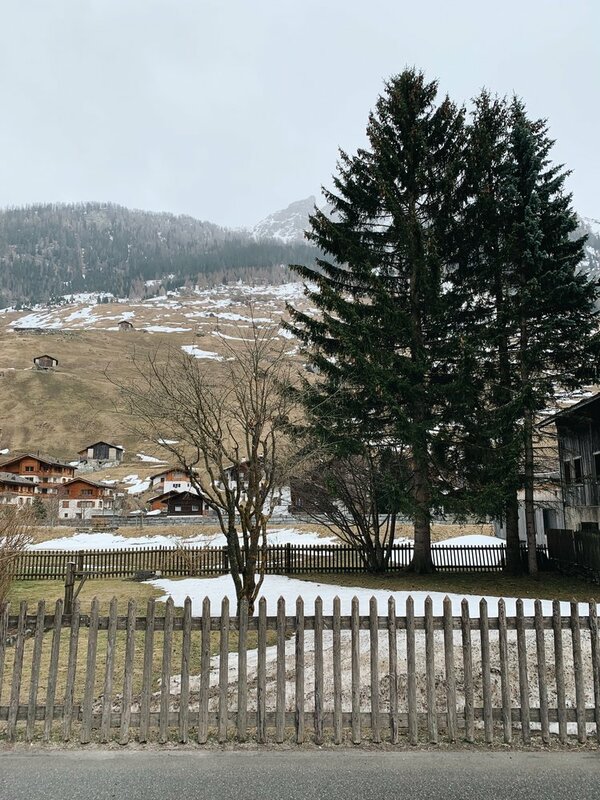 It was an early morning start to get on top of some work ahead of a three hour journey through the Swiss Alps. I grabbed two cheap and dirty sandwiches from the Coop supermarket across the road from my cosy AirBnB (coincidently hosted by an architect-turned-philosopher) and headed towards Wiedikon Station. 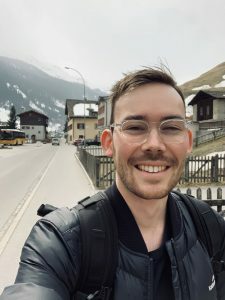 The intercity train from Zurich HB ran a scenic length along Lake Zurich, the towering and awe-striking presence of the mountains approached at each minute in transit. I was joined by a young, camo-donning army squadron, laughing, snoozing, and anime-watching throughout the train ride. 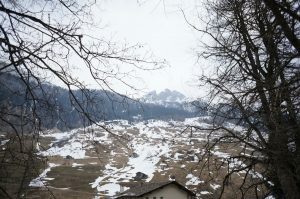 The destination ahead was Chur, and a change to the second train towards Ilanz was required. The ride towards Ilanz was more mountainous. The leading cart of the train making its appearance through my passenger window as it winded around the steep yet contoured topography. Decaying and dusty cliff faces, more reminiscent of pale skulls that had grown old overlooking the natural alpine beauty. I don’t know why this post has edged towards a poor attempt at poetry? 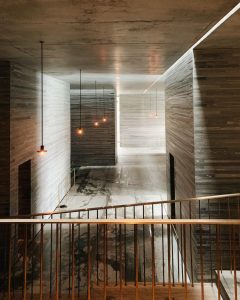 It must be the contemplation of today’s poetic architectural destination influencing my typing; Peter Zumthor’s iconic Therme Vals. I was first introduced to this project during a Design Studio 02 lecture in the early days of my bachelor degree. 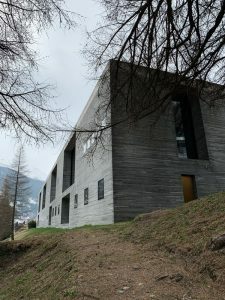 The project was completed in 1996 by the Swiss Architect and houses a series of thermal baths supplied and heated by the local St. Peter’s mountain spring. 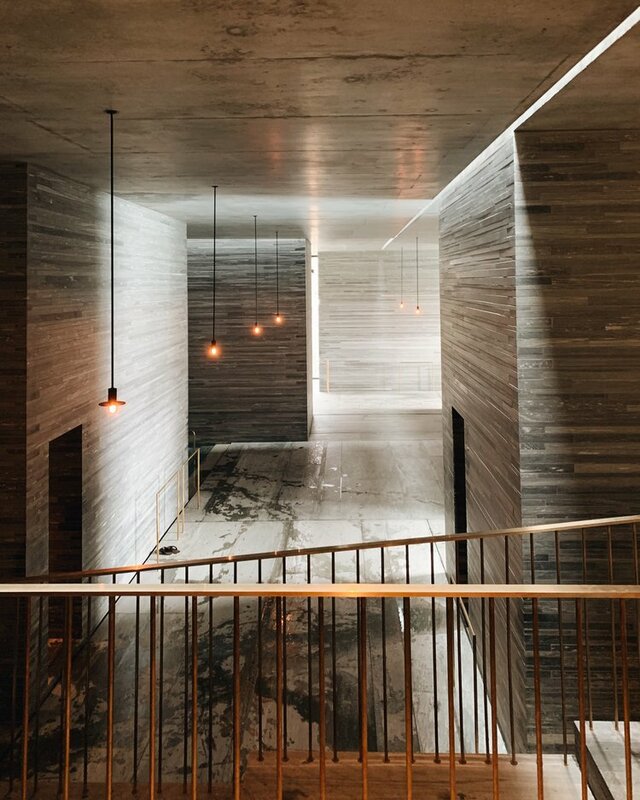 The timeless nature of this project – one that Zumthor worked to create a cavernous, secluded space that’s contextually integrated – had to be experienced in person. 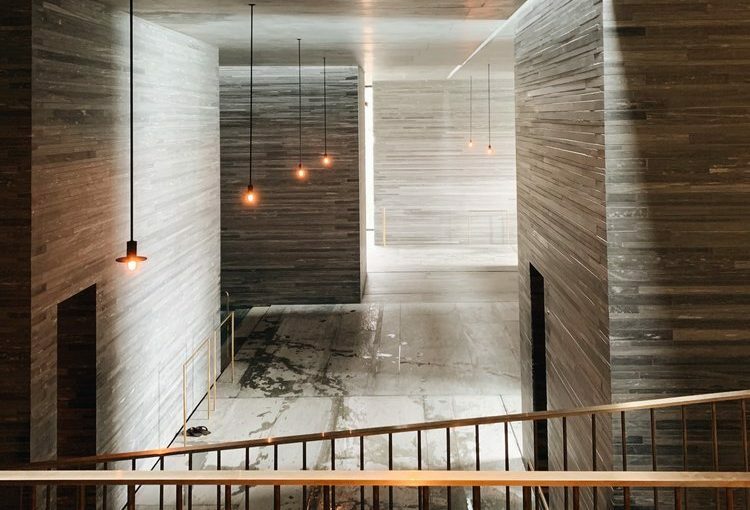 The thermal baths are a magnificent, internationally acclaimed architectural masterpiece created by Peter Zumthor. Made from 60,000 slabs of Vals quartzite, the thermal baths were classified as a listed building shortly after completion. I arrived a little after midday to the quiet and snow-cover town of Vals. A truely beautiful place. A single street, a post office and a few old houses. Therme Vals perched high on the mountain face overlooking this important context. 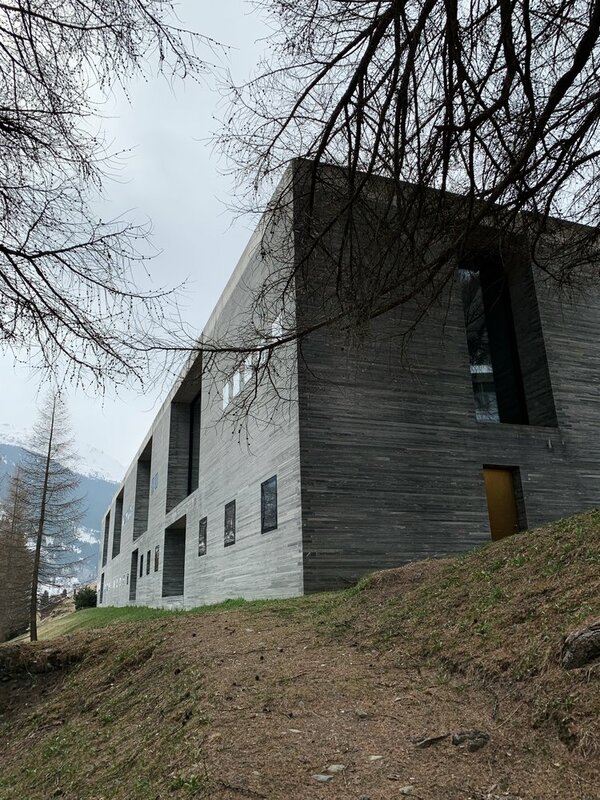 It became apparent quickly that no matter how impressive this piece of architecture appears through photography and design blogs, it is far more profound in its stature when experienced first hand and in connection with its locality. 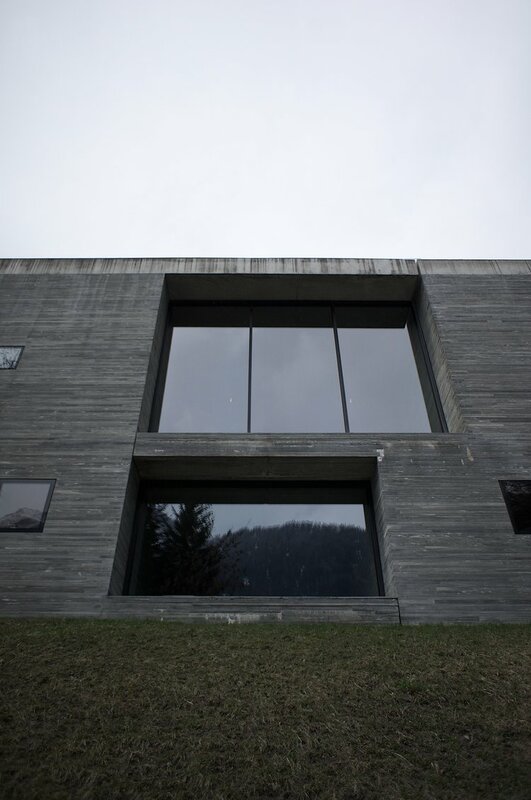 The building’s materiality is local, and it is composed in a way to frame and focus the various aspect out to the surrounding town. I could float in the series of temperature varying thermal baths (from 15°C to 42°C) for eternity. And I almost did. But 6 hours in and the last bus home pending I transported myself out of paradise and towards another – Zurich for an evening of Ramen. Go there. Vals and Miki Ramen. Hours apart, but worth every bit of the pilgrimage.